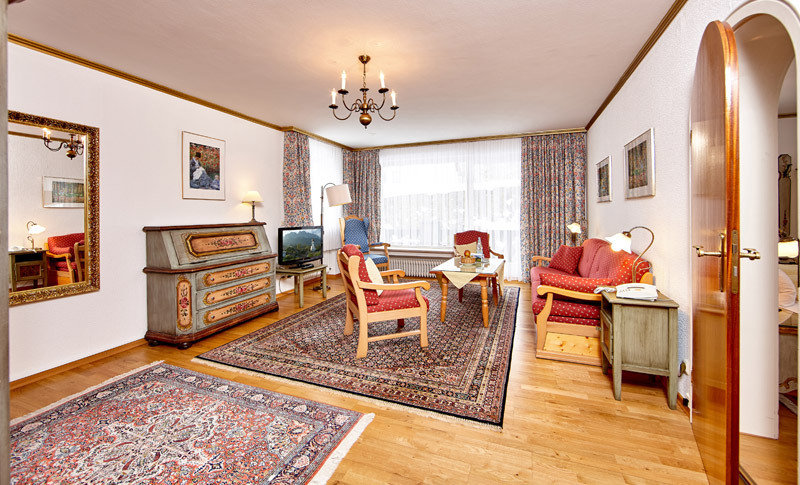 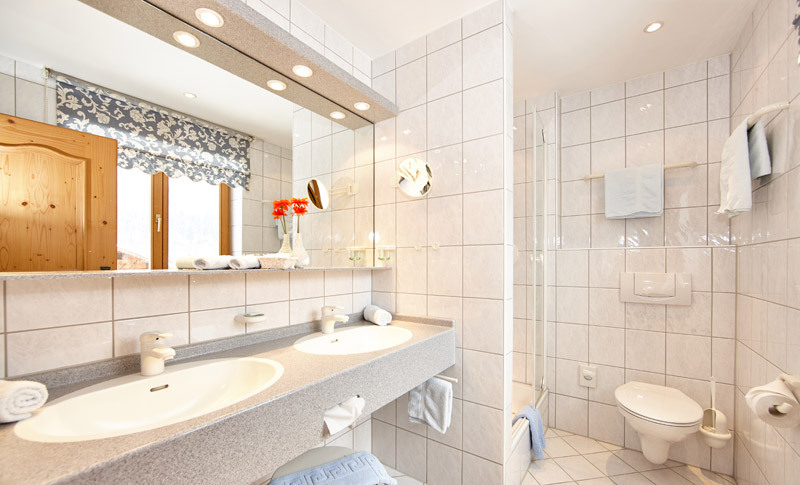 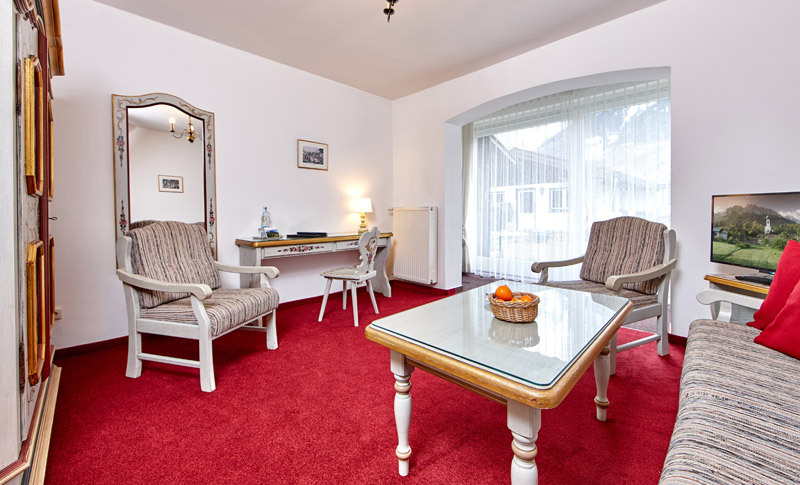 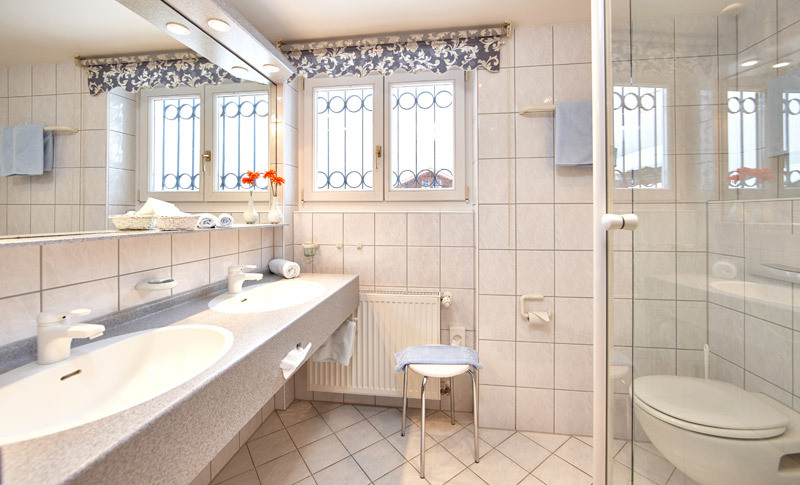 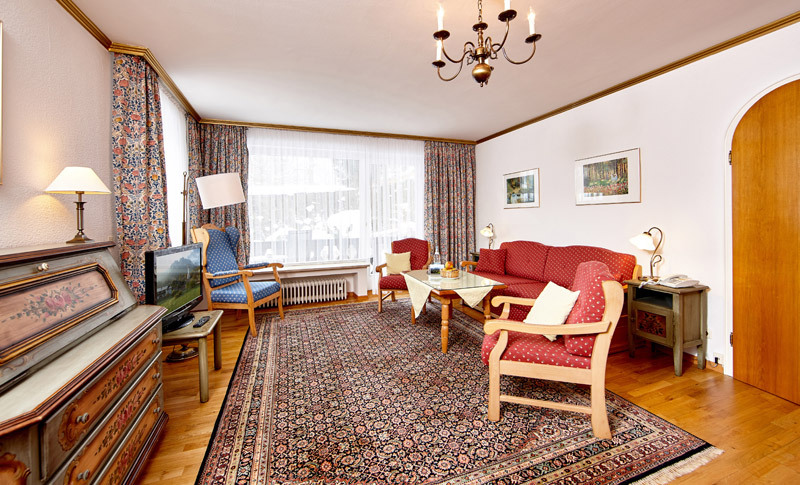 The suites in the Zugspitze category are our most exclusive rooms. 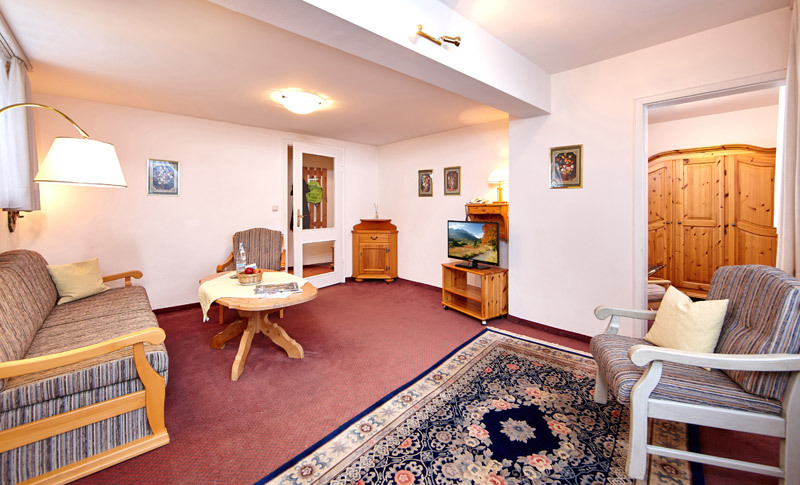 They offer guests a separate bedroom with a large comfortable double bed and a living room with a seating area. 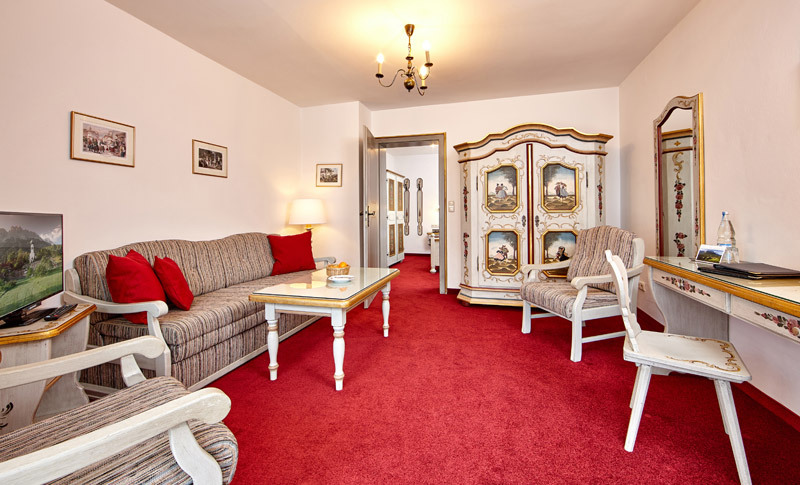 Elegant handpainted rustic furniture gives the suites their own extra-special flair and makes them the perfect place to relax and recuperate during your holiday. 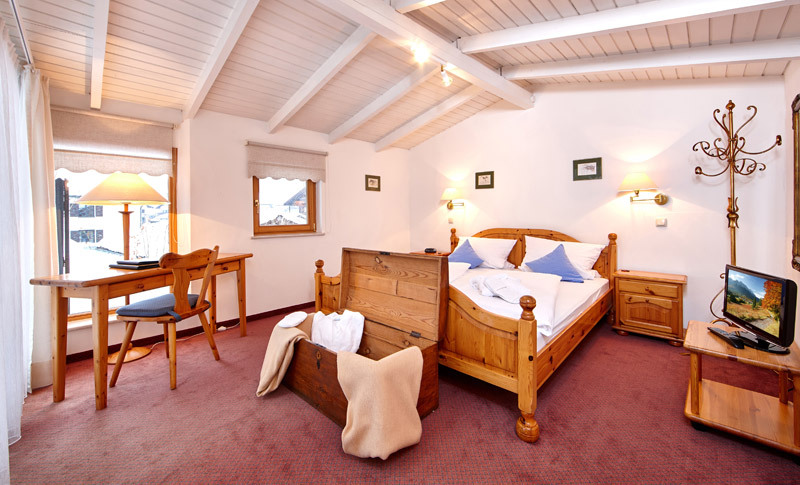 You can also enjoy stunning views of Zugspitze mountain from your own balcony or terrace.